Sorry Eric, I do not understand this one? 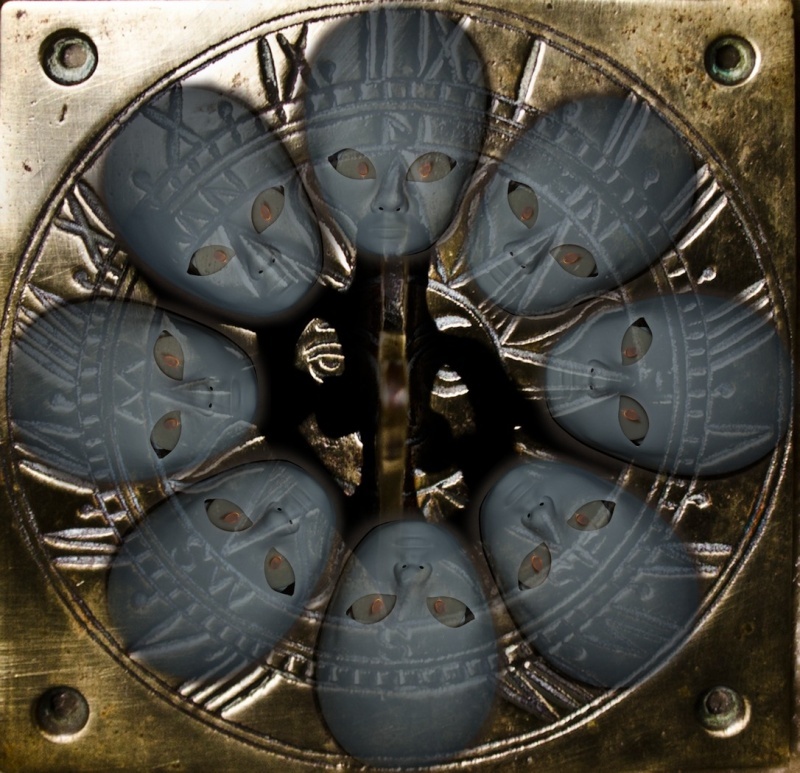 If there was 12 faces, I could relate to a clock face but 8? Maybe I am missing something! Thanks back to drawing board. Need a different back ground maybe a compass. Hi Eric, for me, 12 or 8 they are still faces AND shapes. So I would say it was suitable for the shapes comp if that was what you were asking. Check with Paul if you like. OK and well done but right on the border between photography and graphic art. So does not do it for me as a photograph. I am very much in the the same camp as Dave Lewis here. I prefer to see images that are essentially what comes out of the camera.